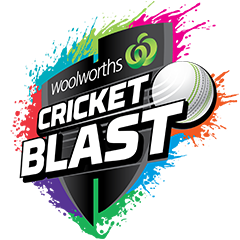 Souths Junior Cricket Club provides the Woolworths Cricket Blast - Junior Blasters program on Friday afternoons from 5.00 to 6.00 pm at the South Brisbane District Cricket Club, Venner Road, Fairfield. Junior Blasters is the introductory-level program aimed at boys and girls aged five to seven, who haven’t played organised cricket before. We request that parents of children aged five assist our coaches with the activities. Junior Blasters involves a series of fun activities designed to teach children the basics of throwing, catching, bowling and batting. The program is run by club volunteers and parent participation and assistance is very strongly encouraged. Junior Blasters is run for 13-weeks at Souths, split into an eight week program before Christmas (school term 4) and a five week program after Christmas (school term 1). Term 4 will focus on skill development and term 1 will involve playing games to prepare children for moving up to the Master Blasters or Stage 1 cricket programs next season. Registered participants receive a Junior Blasters pack, which contains a shirt and hat to wear. Otherwise, school uniform or club or other cricket shirts may be worn. Visit our registration page for information on fees for 2018-19 season and to find out how to join the Junior Blasters program at Souths. If Junior Blasters needs to be cancelled because of wet weather, a notification will be published on the home page of this website on the afternoon of training. In the event of wet weather, there will be no make-up training sessions. For further information about Junior Blasters, visit Cricket Australia's Junior Blasters website.